YEREVAN, March 10. /ARKA/. The first certification office of the Halal World Organization opened today in Armenia’s capital city Yerevan. It will be engaged in assessing the conformity of Armenia-made food products to the requirements of Iran, to contribute to the growth of demand for Armenia-made products, and give a boost to tourist flow. Armenia’s minister of economic development and investments Suren Karayan noted that the Halal certificate will allow Armenian producers to export their products not only to Iran, but to all 57 member countries of the Organization of Islamic Cooperation (OIC). “This is the result of our joint work. 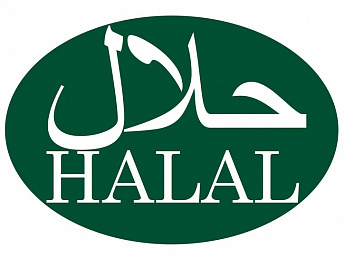 We took the initiative to give our businesses the opportunity to pass the Halal certification in Armenia to make this process more attractive and easies for them,” Karayan told reporters during the opening ceremony. He added that the opening of the office in Yerevan is just the beginning of the process, and there is an agreement that if necessary, such offices will open in the regions of Armenia, first of all in the southern regions of the country, bordering Iran. In turn, the director of the office Abdul Hussein Farhari said that they have been working in Armenia for two years having provided Halal certificates to two slaughterhouses. “The purpose of opening the Halal office in Armenia is to meet the needs of Muslim tourists and help the Armenian farmers to export their products to Islamic countries,” he said.